Since our doors first opened in the early 1980s, Pat’s Archery and Outdoors has evolved from a homegrown archery shop into Jasper, AL’s premier outdoor hub. Now, our website offers a massive selection of outdoor gear, including all the shotgun ammo you need to outfit your favorite firearms for action. That includes ammunition from all the brands you’ve come to know and love. When it comes time to load your shotgun, using the right ammunition is critical for the success of your shooting experience. This means that whether you’re hitting your favorite trail in search of game birds or making way for your local trap range, finding the right shotgun ammo should be right at the top of your list of priorities. Fortunately, Pat’s Archery and Outdoors’ website makes the job simple. 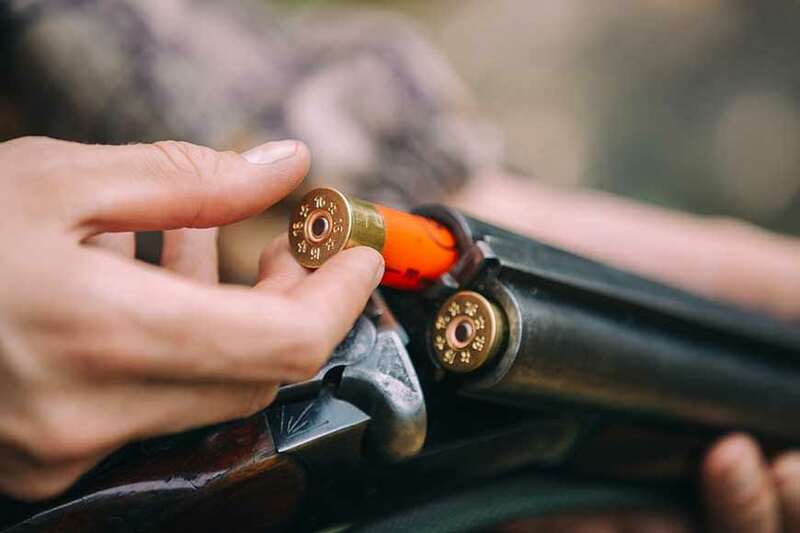 Our diverse selection of shotgun ammo includes something for virtually every application and type of game, including turkey, waterfowl, varmint, target shooting and personal defense. Plus, our ammo inventory covers a range of gauge sizes, from 10-gauge to 20-gauge and beyond, in order to suit the varying demands of our customers. And for your peace of mind, we stock shotgun ammo from the manufacturers whose names have become synonymous with high-quality guns and firearm supplies. These include Browning, Century, Federal Premium, Hornady, Remington and more – and our stock is constantly changing, so check back every once in a while to see what’s newly available. Once you’ve found the perfect ammo, explore our extensive selection of gun accessories, which includes gun parts, tools, cases, cleaning gear, sights and everything you need to complete your shooting experience. Just like our range of ammo, the accessories we carry are created by the manufacturers you know and trust, and they’re available for guns of all sorts. Gear up for your next hunting expedition or shooting competition with shotgun ammo, available at Pat’s Archery and Outdoors’ website. Stop by the shop in person at 306 Hwy 78 W, Jasper, AL, or browse our full selection of shotgun ammunition online. Questions? Contact us today.